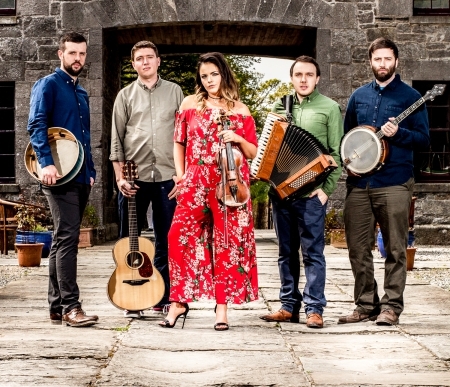 This contagiously energetic Irish quintet will have you asking for more! 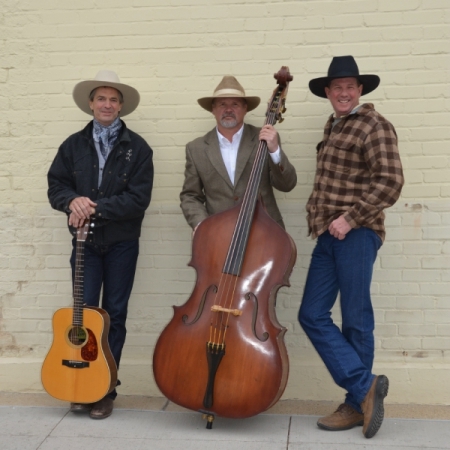 GOITSE is a multi-award-winning group of musicians that we are excited to bring to Rock Springs. January 15 at 7 p.m.
Join us at White Mountain Library for this FREE performance by award winning MARK KROOS. 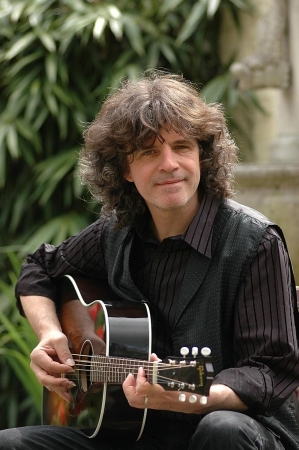 He draws from many different styles of music -- folk, Celtic, indie and even punk rock! 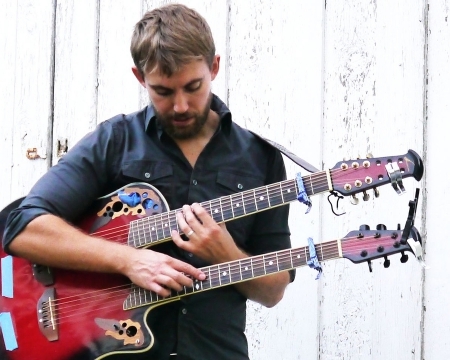 His primarily instrumental style is characterized by open harmonies, polyphonic textures, incredible tapping technique, and is as entertaining to watch as it is to listen to. 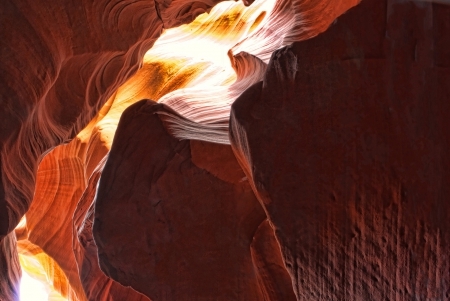 A new exhibit is opening at the Community Fine Arts Center with local photographer Paul Ng’s latest work titled “Through the Lens.” The public is invited to the opening reception on Monday, November 5th from 5 to 7 p.m.
A longtime resident of Rock Springs, Ng is a fine art photographer focusing on the landscape and nature. 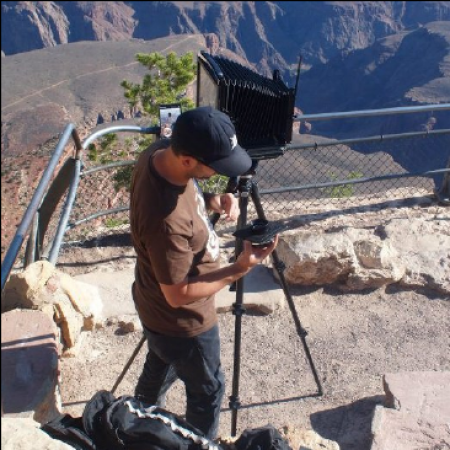 His domain in photography is large format black and white, working mostly with 4” x 5” black and white sheet film and color transparency. He processes all the black and white film and makes archival prints in the traditional dark room wet process. 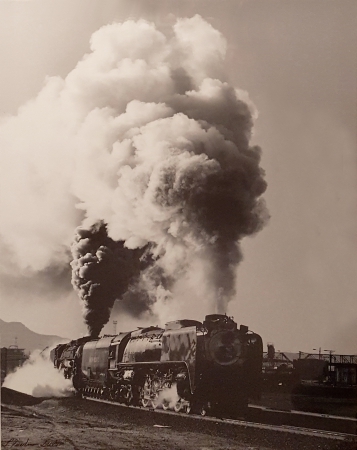 This is the Union Pacific's 150th Anniversary of the Race to Promontory and the completion of the transcontinental railroad and what better way to celebrate but to see "the Train" through the eyes of artists. Open to Sweetwater County residents, this exhibit includes all media. This photograph by Larry Friedman is in the permanent collection on display at the CFAC. 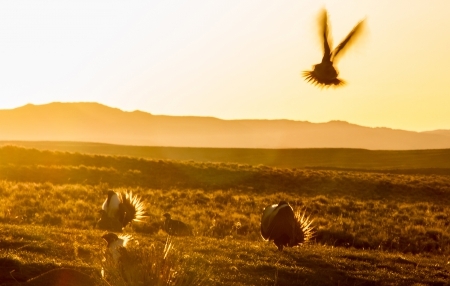 Greater Sage-grouse Strut the Plains! An arts and sciences exhibit by AT Lander Arts and Sciences (aTlas) has been traveling the state this past year and will be on display at the Community Fine Arts Center in Rock Springs from September 4 – 29, 2018. Come out for a delightful musical evening with Dave Munsick and the three-piece Little Big Band. 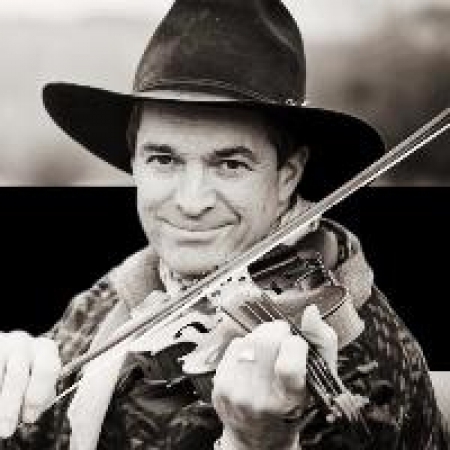 A former New Mexico State Championship Fiddler, Dave brought his game with him when he moved to Wyoming in the early 1980s and began playing fiddle for fellow Wyomingite – the late, great, Chris Ledoux. Today he tours solo and with his bands, sharing "his brand of western truth" for all to enjoy. Broadway Theater at 7 p.m. and tickets will be go on sale in late August. Upon retirement from the University of Nebraska-Lincoln,Ross and his wife moved back to Minnesota where he had done his undergraduate and graduate studies. 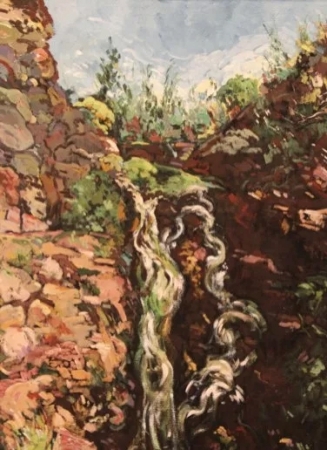 He began a series of paintings that allowed him, once again, to embrace the beauty of northern Minnesota with its wealth of trees, rocks, and water. 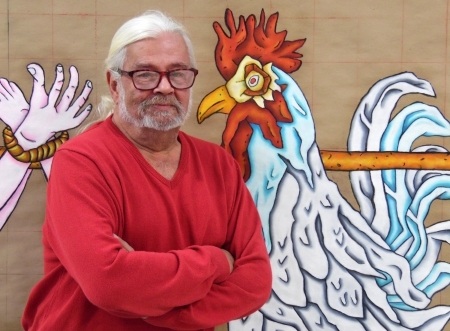 His series of 15 painitngs following the Oregon Trail will be on exhibit at the CFAC. 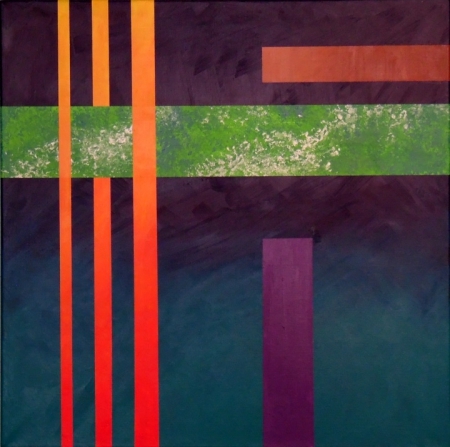 RECEPTION -- Friday, June 1st from 5 to 7 pm. of the Youth of our community! • Reception – Wednesday, April 18, 6 to 7 p.m.
• Reception – Wednesday, May 2, 6 to 7 p.m.
• Reception – Wednesday, May 16, 6 to 7 p.m.
Dave Munsick -- Live in the Lobby! Western singer and songwriter Dave Munsick will play at the Broadway Theater at 7 pm. Co-sponsored by the CFAC and Downtown Rock Springs. ​Tickets are $5 and includes 1-day membership to the Friends of the Broadway Theater Social Club. Beer and wine will be available at the concert. Buy tickets at the URA office (603 S Main) or the Rock Springs Chamber of Commerce. Dave will be returning to Rock Springs with the Little Big Band in September. Come out April 13 to listen to his down-to-earth music. Men of Worth returning to Rock Springs! 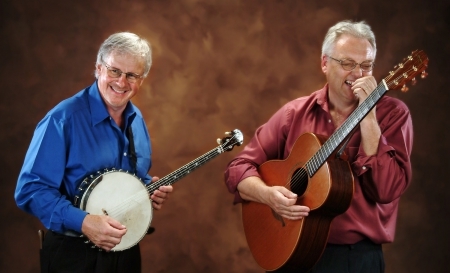 In 1986, Scotsman Donnie Macdonald and Irishman James Keigher came together to perform Irish and Scottish folk music, combining traditional and contemporary styles. The name "Men of Worth" was chosen from the title of a folk song written by the Scottish singer/songwriter Archie Fisher. Together Men of Worth blend their voices with harmony and support their collection of songs with their varied selection of instruments. They have a very simple approach to their presentation, and in keeping with tradition, remain true to the music and story. Their show is a unique combination of humor, exciting tunes, and soulful, heartfelt ballads. Workshops are being planned for Monday and Tuesday and a performance on Jan. 31, 2018, at the RSHS Theatre. 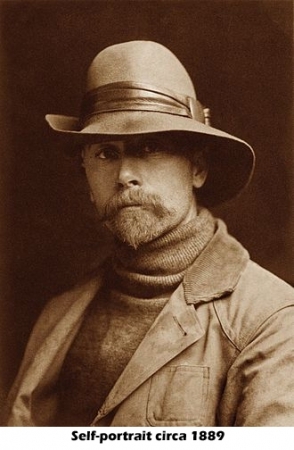 30 images from Edward S. Curtis, a photographer who conducted ethnographic research among Native American tribes beginning in 1898. The exhibit has been created by the McCracken Research Library for the Buffalo Bill Memorial Association in celebration of its 100th anniversary. The McCracken Research Library holds a complete set of Curtis’ The North American Indian, a twenty-volume work comprised of Curtis' photographs and research. The entire work is considered one of the great rarities of western Americana. 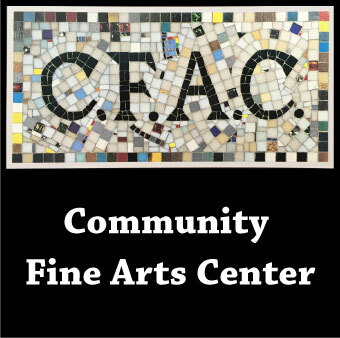 This is the 11th year the CFAC provides a theme and invites all Sweetwater County artists to submit original artwork. Entries will be due the last week in September for the exhibit. We are arranging an exhibit of several local artists including traditional potters and clay sculptors to a glass artist. Those articipating are Teryl Hartman, Sarah Gillingham, Bruce Woodward, Drew Roska, Bart Fetz, Stephen Wardell and Susie von Ahrens . Otter Creek is returning to Rock Springs on Friday, Sept. 8th and will perform at the Broadway Theater. Peter and Mary Danzig combine folk music with traditional old time, with attributes of Celtic and Western roots, and produces a unique sound all their own. Their voices harmonize in the original song writing and fine arrangements that have attracted several awards. Using form, design and color, five artists from Casper, Wyoming present "Western Connections." 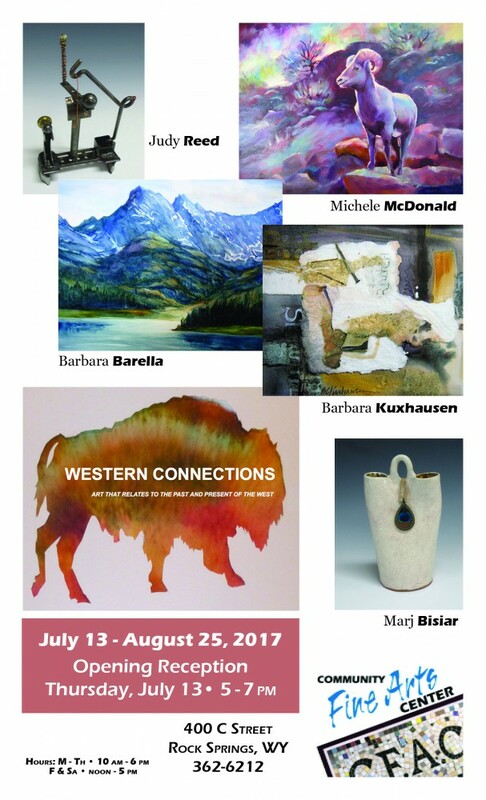 Barb Barella, Marj Bisiar, Barbara Kuxhausen, Michele McDonald, and Judy Reed will display their individual work in various media which is used to connect to the influences of the west with expressive and artistic interpretations. Poster. A blend of artwork both made by and collected by the CFAC Board members and staff. June 8, 2017 at 7 pm. Enjoy a free performance by internationally known guitarist Claude Bourbon with his unique blend of the blues, Spanish, Middle Eastern and Russian influences that will leave you wanting more. This is a free concert to be held at White Mountain Library. Mosaic artist Gregory Gaylor is opening his studio to the public on June 3rd from noon to 5 p.m. at 813 Muir Ave. in Rock Springs. New artwork as well as a few older pieces will be on display. Former Green River resident and artist Peter Butler will be a special quest for the afternoon. Five years ago, Gaylor’s studio and much of his artwork was destroyed in a fire. Since then, Gaylor was able to rebuild his studio, painstakingly clean a few pieces that were able to be saved, and start creating new work. 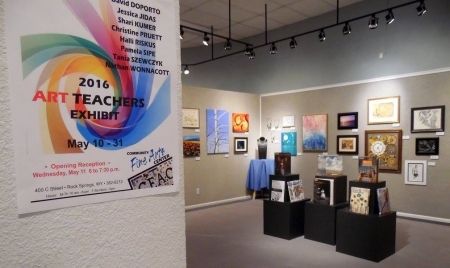 Two-week exhibits form each of the schools in Sweetwater County School District #1 -- elementary through high school. Click for Calendar. A school residency with Australian artist Paul Taylor will provide a unique learning experience for the students. 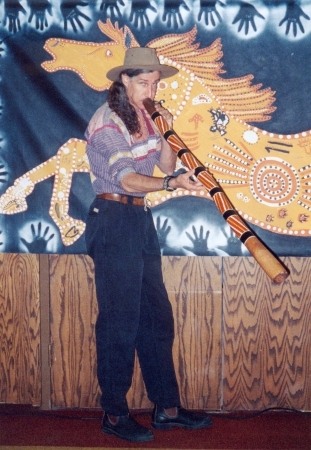 Paul has been teaching students about Australian customs, music, dance and storytelling in Sweetwater County schools for twenty-two years and provides an exciting opportunity for the children to experience another culture. 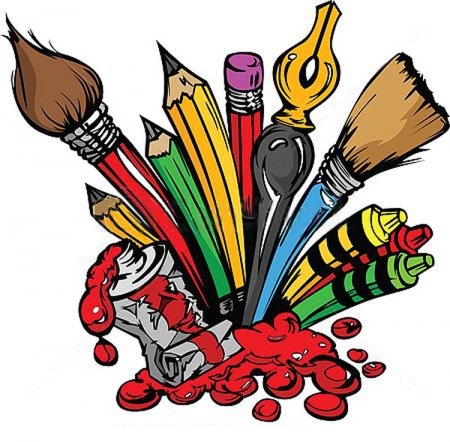 The residencies are on a yearly rotation in our school district and has been supported through grants and funds from Wyoming Arts Council and Sweetwater BOCES. The one of a kind interactive art and music experience that has CBS raving “Go see this show!” announces our national tour stop in Rock Springs, WY. Imagine the excitement of a team of exceptional artists painting at electric speed, creating giant works of art, right before your very eyes. Accompanied by live music and powerful vocals, creative choreography ~ A unique visual journey of wild inspiration, creativity and fun! Co-sponsored with Downtown Rock Springs, ticket information will be available soon! Western Wyoming Community College photography instructor Daniel Cheek will display his fine art photography. Opening reception is November 17 from 5 to 7 p.m..
During the opening reception, Cheek will be speaking about his artistic process, overarching themes he is exploring in his work, and how photographing in Wyoming and Utah have changed the way he thinks about the natural world and his relationship to it. 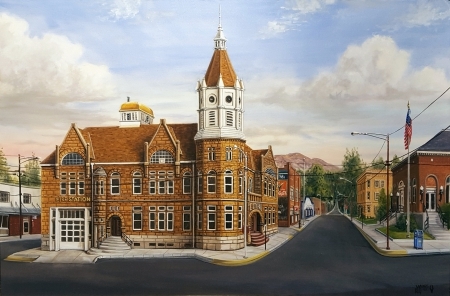 Open exhibit for Sweetwater County artists. Each year a theme is presented and artists are invited to submit work in any medium. Past shows have included mandalas, postcard art, lines, autumn holidays, portraits, and just black & white. 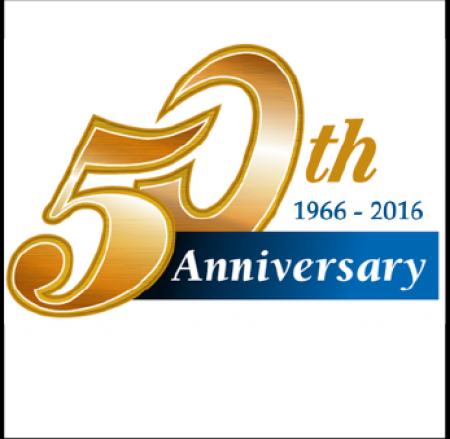 This year's theme is “GOLD” in celebration of our 50th Anniversary. 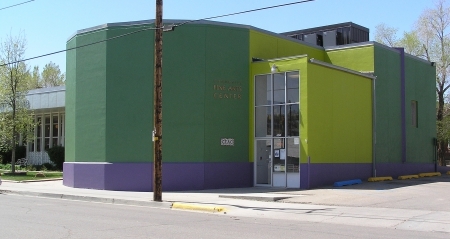 Join us as we mark the historic anniversary of the Community Fine Arts Center in Rock Springs. Started through the vision of science teacher, Elmore Halseth, the collection of art, art classes and musical performances has enriched our community. The open house will be from noon to 4 p.m. with the unveiling of a new sculpture to stand outside the entrance to commemorate this anniversary. October 6, 2016 at 7 p.m. 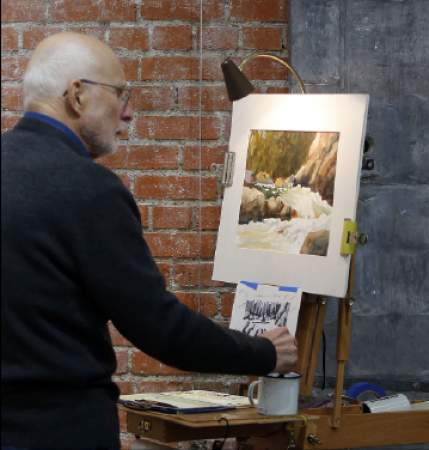 Retired Casper physician Skip Larcom has become an accomplished landscape watercolor painter, capturing the beauty of nature while enjoying traveling, skiing, and kayaking. Opening reception on Aug. 17 from 5 to 7 p.m. Combining elements of classical technique, jazz improv and the power and energy of rock n' roll; the guitar and cello duo perform both classical and original works. Join us at the Broadway Theater at 7 p.m., tickets are $10 and $7 student/sr. citizen. 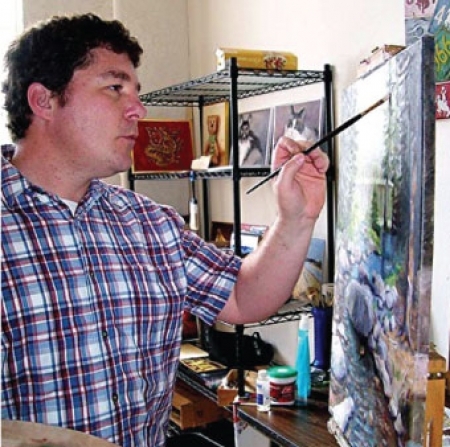 Former Wyoming resident, Adam Adkison works primarily with oils to create paintings that will bring a sense of wonder to the viewer, he wants his work to connect with the viewer on a deeper level. He recently gained membership in Oil Painters of America. A workshop in oils is July 8-9, call for more informaiton. Exhibit of David’s digtal creations. You are invited to the Opening Reception. June 7, 2016 from 5:00 to 7:00 p.m. Celebrating the arts and the creative of our local students! In concert and the Rock Springs high school choir will have the opportunity to work with guy and perform a special selection at the concert that evening. Local artist to share her photographic images. Give/Take exhibition is a traveling art exhibition created by eleven women artists residing in Lander and Laramie. Linked in a focused exploration of "nourishment", each artist explores how they need, receive, and provide nourishment on many levels, including physical, mental, and spiritual. The concept is ever more relevant today given the overwhelming amount of choices and information available, and given that the consequences of how we choose to nourish ourselves and others can have far-reaching impacts. Works in the show present a variety of interpretations of the concept, and invite viewers to think about how they both give and receive nourishment in their own lives. 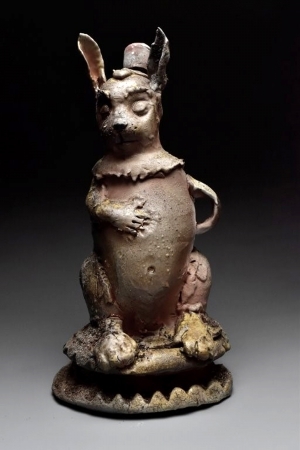 The show consists of paintings, sculpture, fiber, original prints, ceramics, and assemblage pieces. Give/Take Exhibition artists include, Dannine Donaho, Virginia Moore, Tonya Pepper, Jodie Atherton, Kristin Vogel, Sally Watt, Anne Austin, Lisa Hueneke, Mati Snodgrass, Maggie Kanengieter, and Cristin Zimmer. 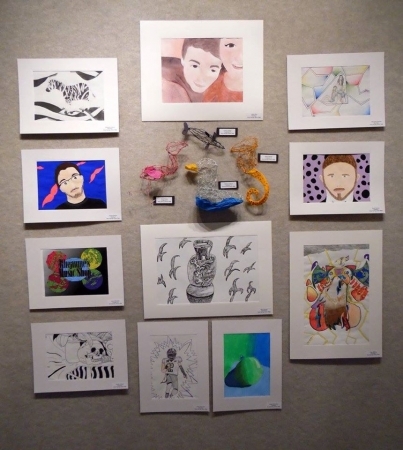 Give/Take art exhibition will be on display through November 28, 2015 at the CFAC. Multi-instrumentalist performs original music on over 30 acoustic string, flute and percussion instruments from all over the world. Community performance at RSHS Theater and school assembly. Open exhibit for Sweetwater County artists. Each year a theme is presented and artists are invited to submit work in any medium. Past shows have included mandalas, postcard art, lines, autumn holidays, portraits, and just black & white. This year's theme is Art2 -- "Art Squared" meaning anything in a square format. Local woodworker features canoes, kayaks and other unique projects. A reception to meet the artist will be held Wednesday, Feb 4th from 5-7 pm. 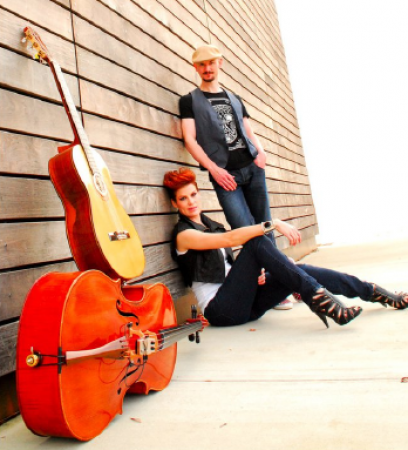 Celtic duo returns to Rock Springs at the Broadway Theater at 7:00 p.m.
"The beautiful blend of their voices and the intricately intertwined instrumentation is amazing for a duo. Their stories and interaction with the audience draws you into another world where you can let the stresses of your day melt away." An exhibit of Native American artists' current work. Featuring Robert Martinez, Bruce cook and Jackie Sevier. Opening reception Jan. 9, 5-7 p.m. to meet the artists. Local photographer focuses on the natural beauty of our landscapes and animals. Local pottery Bruce Woodward features his unique style of working with clay. Join us on Saturday afternoon for the show's opening reception! Open exhibit for Sweetwater County artists. Each year a theme is presented and artists are invited to submit work in any medium. Past shows have included mandalas, postcard art, lines, autumn holidays, and just black & white. This year's theme is "Portraits". Worth the wait! Award winning watermedia paintings from the annual competition held in the fall of each year by the National Watercolor Society. Bunning Park at 6:00 p.m. 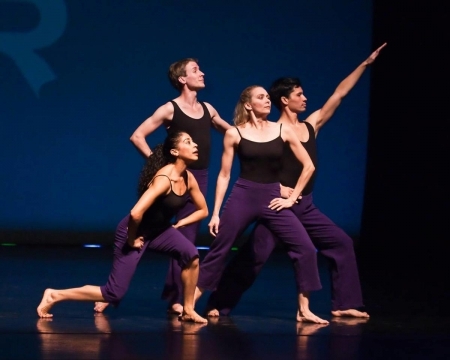 The Company returns to Rock Springs this summer – free performance in the park! Bring a blanket, lawn chair, picnic and enjoy this talented group of thespians! Celebrating the arts and the creative works by our local art instructors! Reception June 24th 5-7 p.m.
Exhibit in Samuels Resource Room explaining the steps to making bamboo fly fishing rods. 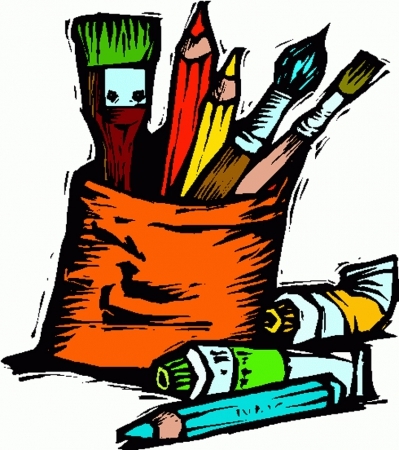 For 5th – 9th grade students interested in creating art. Sign up at the CFAC starting May 1st. Co- sponsored with Sweetwater BOCES. artists' work online at nardclaar.com and backdoordesigns.com. Reception: May 14 at 6 p.m.
A free performance at White Mountain Library at 7pm. Our annual open exhibition for Sweetwater County artists to have fun with a different theme each year. 2013 theme is “Fur, Feathers and Fins” – open to Sweetwater County artists, any medium and limited to two pieces each. 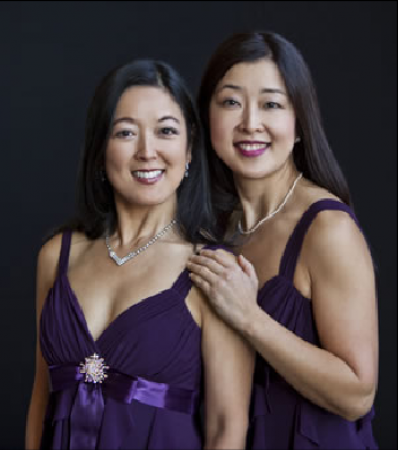 This FREE performance of violinist Qing Li and pianist Richard Dowling is sponsored by the Dr. Thickman Family of Sheridan. Performances are coordinated throughout the state of Wyoming with assistance of the Wyoming Arts Council. Broadway Theater in Rock Springs at 7:00 p.m.
Join us for a wonderful musical night with folk musicians Peter and Mary! 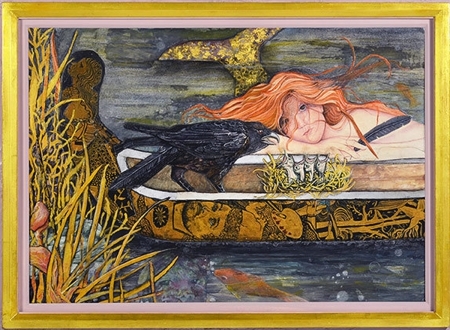 As a prolific revelatory artist, Edie Reno has created, taught, and exhibited paintings, drawings, and sculptures in schools and communities for 30 years. Long-time professional Artist David Kreitzer, who attended high school in Rock Springs 1958 through 1960, and now lives in California, presents a one- man show at the Rock Springs Community Fine Arts Center, 400 C Street, in Rock Springs. The show begins Monday, July 9th, through August 3rd. Artist Reception the evening of Thursday, July 11. David's love of nature, fantasy, and the human form, propels him to create exquisitely detailed, mood-invoking landscapes, figures, and striking still life floral studies in a variety of mediums. 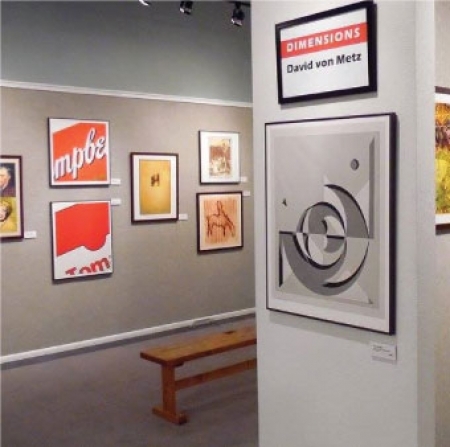 Mr. Kreitzer's collectors include Michael Douglas, Mary Tyler Moore, Raymond Burr, Ray Bradbury, Quinn Martin, Howard and Roberta Ahmanson, the Hirschhorn Foundation, the San Diego, Santa Barbara, and Bakersfield Museums. Featured in Atlantic Magazine and American Artist, he has been listed for many years in "Who's Who in American Art". David Kreitzer's paintings hang in the public collections of The Revlon, Cargill, Barnes-Hind Pharmaceutical and Kimberly-Clark Corporations, and Lloyd's Bank. Commissions include prints for Seattle Opera, the Performing Arts Magazine of San Francisco, Los Angeles, and San Diego, and the San Luis Obispo Mozart Festival. Mr. Kreitzer, born in 1942, has been represented by galleries in New York, Chicago, Dallas, San Francisco, and Los Angeles. Located at Bunning Park. A day of great music! CFAC is a sponsor of this community event. The Company returns to Rock Springs this summer to perform “Merchant of Venice” – free performance in the park! Bring a blanket, lawn chair, picnic and enjoy this talented group of thespians! Storyteller, musician and artist Paul Taylor will continue his school residency for the 16th year in Sweetwater County! Saratogo, Wyoming artist exhibits his stone sculptures inspired by the Rocky Mountains. Please join us at the opening reception to meet the artist on Friday, Feb. 1 from 4 to 6 p.m.
Multi-faceted talent, Laurie will perform a variety of opera and popular music. She will also have a display of her jewelry designs at the CFAC for the month and promote her new memoir “Do You Dram in Color?” as she shares her life as a blind artist. Storyteller, musician and artist Paul Taylor will continue his school residency for the 16th year in Sweetwater County! Paul will give a public presentation and slide show about the Aboriginal people that week. Date to be announced. Opening Reception Jan. 3, 5-7 p.m. The Wyoming Wilderness Association is holding a competition to highlight this beautiful and unique landscape in southern Wyoming. Qualifying artists and photographers will be asked to also include a paragraph or two about their connection to this landscape. Entry forms are available on their webpage http://www.wildwyo.org Deadline extended to Nov. 1. Awards judge Joan Hoffman www.joanhoffman.com will give a talk on the History of Landscape Painting and hold a 3-hr. painting workshop. Details forthcoming! Meggan Stordahl is exploring the tactile qualities of encaustic painting, sometimes incorporating mixed media in the wax images. The public is invited to a Reception to Meet the Artist. Date and time will be announced. Metal sculpture and cast jewelry by Wyoming artist Debra Uhls. This year's theme is "Day of the Dead". RSHS Theater at 7:00 p.m. Longtime resident of Sweetwater County, Paul has traveled extensively and has new images to capture the viewer's imagination. The public is invited to a Reception to Meet the Artist. Sept. 5, 5-7 p.m.
Katie Christensen works in several printmaking techniques including monotypes. The public is invited to a Reception to Meet the Artist. Aug. 31, 5 p.m.